Instagram (currently owned by Facebook), has remained a top social media networking platform that a lot of millennials love to use. This is because of the powerful and beautiful visual content created by Instagram users. Therefore, it was not surprising to see the release of the Instagram business profile in 2016. This brought in a lot of mixed feelings based on user experiences with Facebook’s Business Page. Are you considering whether to own a business profile? If so, it is worth using a social media marketing agency to help you create a professional profile and use Instagram more effectively. Here are the benefits of having an Instagram business profile. Using the Instagram personal profile limits owners to just inserting a URL in the “website” section of the profile page. They have to tell followers to click the link in their bio to drive traffic to their website. For brands wanting to get more traffic on their website through Instagram, they have to switch to the Instagram business profile and have a minimum of ten thousand followers. With this brands would be able to use the “Swipe up” feature in the Instagram story which gives room for URLs to be added to stories. This makes it easy to create stories with relevant links that followers or visitors can click on. There are free and paid tools that brands can use to get detailed analytics reports about activities on their Instagram profile. Using the Instagram business profile provides brands with very an in-depth analytics report on every post in the feed and every story. 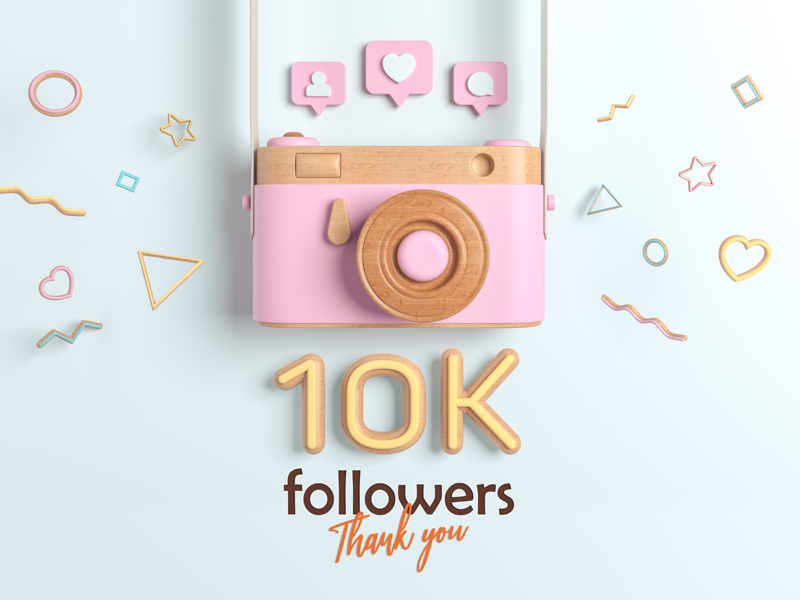 With the personal Instagram account, brands that have a minimum of one hundred followers can get access to basic insights about posts in their feed. This includes understanding who their target audience is, where they are from, age range, time of the day that they are most engaging and so on. For more advanced analytics, brands would have to switch to the business profile. Access to advanced analytics gives brands the opportunity to understand which content is the best performing. Brands can monitor the kind of material they push out to understand how their followers or visitors are engaging with the content. With this, brands can decide whether or not to push out certain types of content and also know what specific areas they need to improve on to get better results. With the ever-changing algorithms of Instagram, brands have had to struggle harder to reach more people – it goes beyond producing good content and supporting it with relevant hashtags. The Instagram business profile allows brands to easily convert high performing posts to promoted posts. Likewise, they can create posts that they want to promote in order to reach more people on Instagram. These promoted posts can be set to be seen by specific demography to improve overall marketing results. The main goal of any business is to make revenue through sales in order to keep the business alive. It is impossible to get any reasonable revenue if people who need the brand’s services or products can’t find it easily online. The reason businesses have to create and maintain an online presence is because we live in a time where people get easy access to information through the internet. So if people are looking for something that a brand is offering, they must be able to find that brand on the internet as well. Big social media networking platform like Instagram, Facebook, Twitter, Pinterest are usually ranked high on search engine results page (SERP). Brands should ensure that they fully maximize all the contact options in the business profile and use the action buttons as well to help prospective buyers to take appropriate action. For example, book an appointment, a request a quotation and so on. This is also another interesting perk of the Instagram business profile. Brands can explore other bio options when they click the “edit profile” section. Here they will access more options such as action button, contact number, contact address and contact email. This is one of the features that gets a lot of content managers excited about switching to a business profile. Although brands can’t schedule posts with the Instagram app directly like Facebook permits, they can make use of third-party apps or software to schedule posts on Instagram. This makes it easy for brands to plan their content calendar and schedule ahead of time. This way they can put more focus on increasing engagements from their followers. This is an interesting feature for any brand offering any kind of consumable product. With the Instagram business profile, brands can now create posts that will generate money for them while on Instagram. Brands now have the opportunity to put up creative posts displaying their products and tag up to five products per image. When users click on these posts, they get to see details of the products tagged and the price. If they wish to complete the buying process, they can click on the tag which would redirect them to the product page on the brand’s website. In addition, users can also find similar or recommended products on the business page as well, just as they would see on any regular e-commerce website. Visitors or followers can just skip to all the brand’s shoppable posts by clicking on a “Shop” icon in the highlight area of the profile page. This would be most beneficial to Instagram influencers who work with various brands to promote their products or service. This feature makes it easy to indicate if a post is a paid partnership or paid sponsorship. This enables followers to understand that the content in such paid posts are not that of the account owner. This feature is usually indicated at the top of the sponsored post.